The crisis in Zimbabwe should serve as a warning to SA that liberation movements still cannot be trusted to deliver, DA leader Mmusi Maimane suggested on Tuesday. 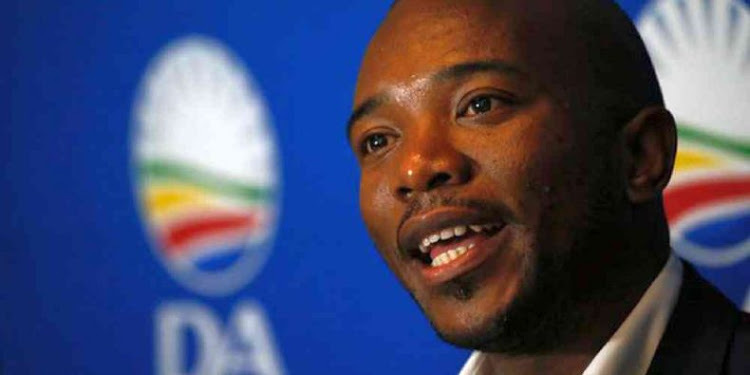 Addressing the Cape Town Press Club, Maimane criticised the ANC’s record in government since 1994, citing its “failure to address unemployment, inequality, poverty, crime and social unrest”. “As we grapple with our own path forward, we could also do well to reflect on the situation in Zimbabwe right now. They too were asked to believe that a new leader [Emmerson Mnangagwa] of a failed liberation movement [Zanu–PF] would steer them towards a different outcome. And now they are discovering that a government runs on systems and not individuals. If those systems are broken, it doesn’t matter who is in charge,” said Maimane. Zimbabwe, which is facing its worst economic crisis in a decade, came to a standstill this week as protesters took to the streets over the country’s latest staggering fuel-price hike and the worsening socioeconomic situation. More than four people have reportedly died in the protests, but this has not yet been confirmed. “This is the story of liberation movements and their splinter parties everywhere,” said Maimane. “The ANC — along with every other so-called revolutionary party that has sprung up recently like mushrooms in the forest — desperately wants you to believe that you still need to be liberated from something or someone. That’s all they know, and so they create imaginary enemies and wage imaginary wars. Their language, their ideology and their ideas got stuck a long time ago,” the DA leader said. “The more they fail at being a government, the more they will try to convince you that you need them for the struggle. And, having destroyed the systems and the institutions that make up a government, they will ask you to put your hope and your trust in individual leaders, personalities whom they will try to elevate to icons. “But that’s not how a government works. That’s not how a capable state is built. If you want a better government, then you have to choose a better government. I believe the DA is that government,” he said. Maimane said unemployment, along with unfair access to scarce jobs, is at the core of SA’s problems. “Every other challenge we have — poverty, inequality, crime, social unrest — can be solved if we can find a way to put more people into jobs. Or, seen the other way round, if we can’t secure a dramatic turnaround in our unemployment rate, all our efforts to curb the other ills in our society will be in vain. “The ability of a party to enable and nurture job creation should be the make-or-break factor when choosing a government in SA,” Maimane said. He said this was why the launch of the ANC’s election manifesto on Saturday was a “red flag”. Maimane said there are now 9.8-million unemployed South Africans, and even if SA’s labour force remains the same size it would take more than 35 years, at Ramaphosa’s rate, to clear that number.